A recent study on Email Marketing Campaigns measured the correlation between Landing Page Contests and the number of new email subscribers by analyzing the behavior of 3 million vistors on 100 Landing Pages. It found that Landing Pages hosting a $500 giveaway contest generated 700% more email subscribers compared to Landing Pages without giveaway contests! This means that offering this extra bit of incentive – the potential to win cash or prizes – will give your campaigns a huge boost. The most important component of a successful contest is that it is featured on a Landing Page with a clear Call-to-Action. It is also important to note that this strategy most effective for specific industries and organizations. Landing Page Contests increased email subscribers by an average of 900% for all e-commerce, product-based, websites. Alternately, for service-based websites there was only a 600% increase. In addition, the study found that this strategy works best for fashion e-tailers (average of 1100% increase) and is least effective for professional service websites (average of 500% increase). However 500% is still a huge increase in subscribers. So really this strategy can be enormously effective for almost any marketing campaign! 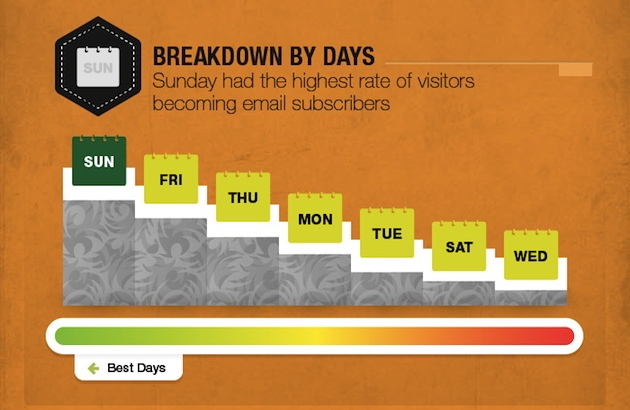 Our readers always ask us which day of the week is best for increasing subscribers or email open rates. This study found that Sunday is the best day for a Landing Page Contest. It also reported that Wednesday was the least popular day for subscribing. Note that other studies show that Thursday and Tuesday are particularly good days for tweeting, sending an email, or launching any sort of marketing campaign. 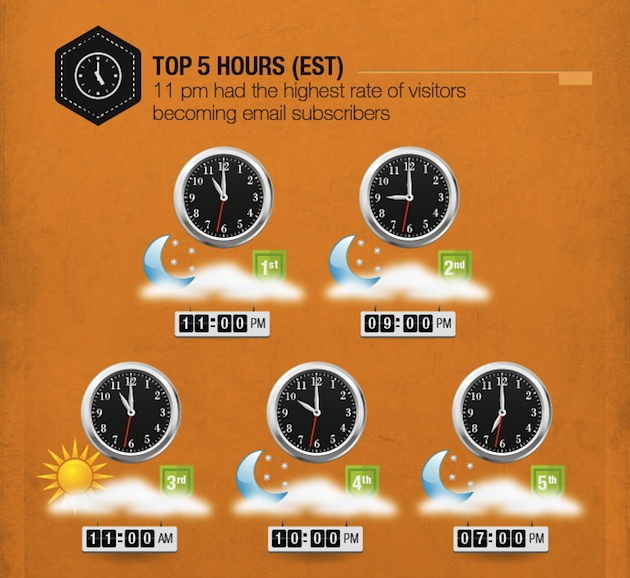 In terms of time of day, nighttime – specifically 11 pm EST – was the most popular time for subscribing. This is contrary to many other studies that we have read, which indicate that 12 PM EST (9 AM PST and 3 PM in London) is the best time for Digital Marketing. However, this discrepancy probably indicates that a Landing Page Contest adds a unique variable to your marketing strategy which dramatically alters user behavior or reaches a more targeted niche audience. For more information on email marketing campaigns or increasing the number of your subscribers, Book a Live Demo. Let Predictive Response assist you in creating an effective and successful marketing campaign today!